In an article on a tourism site of UK media, Reporter David Farley stated that Vietnam has the most fascinating sandwich which is one of Best Vietnamese Food he has ever eaten. 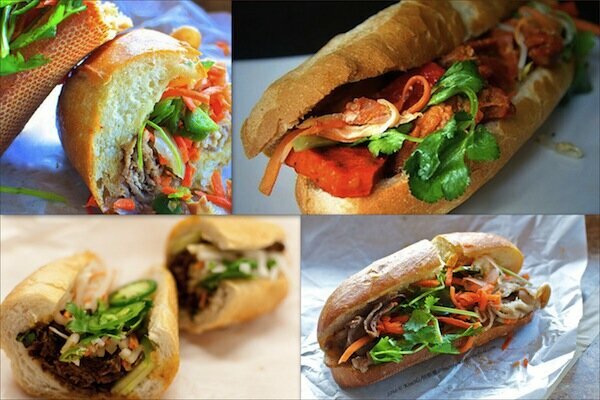 Sandwich – (aka “Bánh mì kep thịt”) is a common food which can easily be found on every sidewalks in Vietnam, has appeared many times on international tourism site and voted as one of Best Vietnamese Food (Street Food) in the world. 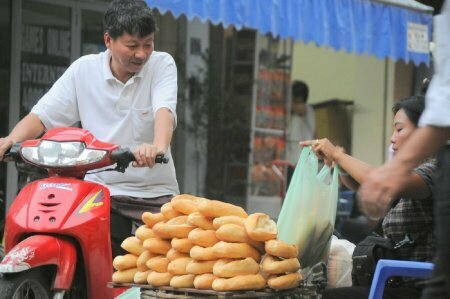 David Farley, a writer specialized in tourism and cuisine has posted his article about Vietnam’s Burger on BBC with the title “Is the banh mi the world’s best sandwich?”. As I did in Hanoi, I asked everyone who would listen where I could find the best banh mi around. The answer was Banh Mi Phuong (Phan Chau Trinh 2B) a diminutive shop in the centre of town. I ordered the classic, which the menu board indicated contained “bread, pork, ham, pate”. But there was so much more: long slices of cucumber, fresh cilantro, pickled carrot and even juicy tomato slices. Phoung finished it off with a flurry of sauces: a squirt of chili sauce and two different pork sauces, one from boiled pork and one from smoked pork. Something that combines so much pork with fresh herbs all stuffed into a crispy baguette is, I have to say, a pretty magical sandwich from one of Best Vietnamese Food like this one.